Steel slabs are created directly from continuous casting or indirectly by rolling an ingot. Cast in single strand slab caster of steel melt shop. Liquid steel is produced through electric arc furnace-AOD Convertor/VOD-Ladle refining furnace route. 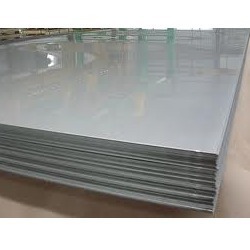 We are offering a quality tested array of Stainless Steel Slab. The Stainless Steel Slab we offer is widely demanded amongst the clients for their precise use. Cast in single strand slab caster of steel melt shop. Liquid steel is produced through electric arc furnace-AOD Convertor/VOD-Ladle refining furnace route. We are the manufacturer of SS Slabs that is designed and developed as per the set industry norms and utilizing quality assured raw material. Moreover, our quality controllers examine the entire range on varied parameters of quality in order to meet various requirements of the clients. Our company is the leading provider of supreme quality Stainless Steel Pattee. The range is manufactured using top quality raw material such as stainless steel, aluminum, brass and copper, which is sourced from the trusted vendors. The steel pattee is well appreciated for some of its highly appreciated features like. Thermalrock S (Slab) Thermalrock S (Slab) is an insulation slab designed for general insulation purposes. It is manufactured in a wide variety of thicknesses and densities to suit most requirements, suitable for general application in residential, commercial and industrial buildings. Roxul Rockwool Technical Insulation India Pvt. Ltd.
the slabs are cast in a single strand continous slab caster of the steel melt shop . Liquid steel is produced through the induction furnace -> aod convertor -> lrf convertor ->slab caster route. We are offering a quality tested array of Stainless Steel Slab. The Stainless Steel Slab we offer is widely demanded amongst the clients for their precise use. 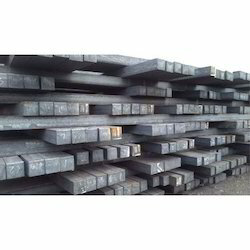 We are exporters of all kind of Stainless steel ingots/slabs & billets. - Slabs : Thickness 70mm to 300mm, Wodth max upto 2000mm and length as per specifications. - Ingots: 3"x4", 31/2"x41/2" pevail type, taper End top and bottom poured.